Drinking tea after meals is a controversial subject. Studies suggest that drinking tea is good for the digestive system, but its caffeine content may hinder absorption of nutrients in the digestive system. According to studies, having tea after your meal relieves gases and flatulence in the stomach. But, not all tea types are the same. Herbal tea and green tea contain high amount of polyphenols and antioxidants that help in digestion. These teas help in making the digestive system work more efficiently as it stimulates production of bile, saliva and gastric juices. It also has powerful anti- inflammatory agents that help reduce digestive complications. Some polyphenolic compounds like catechins increase the activity of digestive enzymes while pepsin helps in the breakdown of dietary protein in the system. 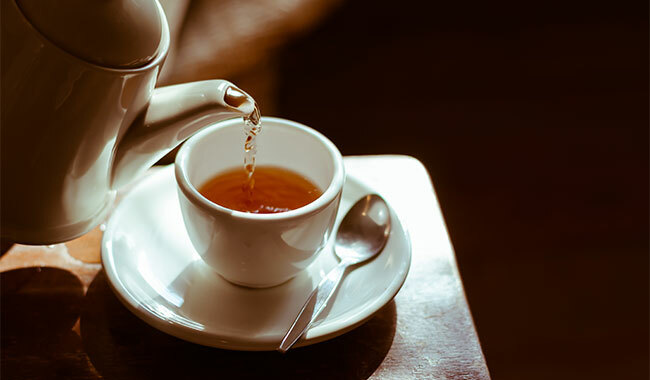 Studies have shown that compounds like phenolic that are present in tea can interfere with iron absorption as they form iron complexes in the stomach. It is recommended that you eat food rich in vitamin C and iron if you wish to drink tea after your meal. Consuming tea after the meal decreases availability of catechins in the body. The convener of the Dietary Guidelines Committee, Dr D Raghunatha Rao, told TOI that coffee and tea should be avoided at least an hour before and after meals because Tannin present in tea and coffee interfere with iron absorption. Although tea and coffee help in relieving muscular and mental fatigue, it must be consumed moderately. The dietary guidelines report also recommends that people with heart-related diseases cut down on coffee consumption as it is known to increase blood pressure and cause abnormalities in heart beat. So, if you wish to drink tea or coffee after your meal, choose between ginger or green tea as both of these help in digesting food.